Hailing from Montreal, Cirque Alfonse is a true contemporary circus family: three generations are onstage, from the grandfather Alain Carabinier to his daughter's two year-old child Arthur. 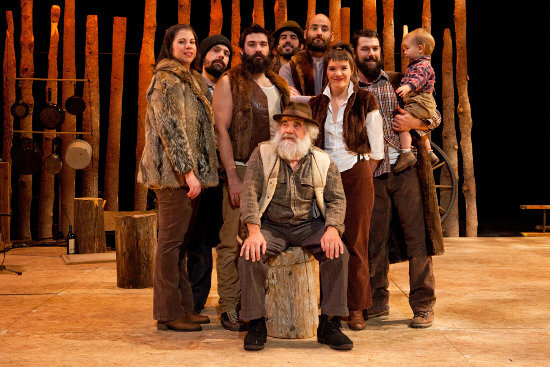 Sideshow saw an early premiere of Timber, the company's inaugural show, in 2011 – at which time it was rough and ready but if anything helped by some unplanned moments and slip-ups. Substituting handmade (mostly wooden) tools for traditional circus apparatus, the show is a low-fi and gruffly romantic expression of life in rural Quebec.